Held twice a year in both Spring and Autumn since Spring 1957, the China Import and Export Fair (also known as Canton Fair, Guangzhou Fair, Guangdong Fair, Foire de Canton, La Feria de CANTÓN, Übersicht Kanton-Messe, Fiera di Canton, Feira de Canton) is China's largest high-class trade fair. The fair includes a large varieties of exhibits as well as the largest attendance and business turnover as comparable to other fairs similar to it. Preserving its traditions, the Fair is a comprehensive and multi-functional event of international importance. The 124th Canton Fair will be held in Guangzhou China in October 2018. With nearly 200,000 people from 210 countries attending the fair, hotel occupancy in the area is extremely high and most hotels are OVER booked. Under this situation, the hotels require reservation by credit card guarantee or prepayment from guests; guest paying in advance will be guaranteed a room. We advise you not to wait until last minute to secure your reservation. 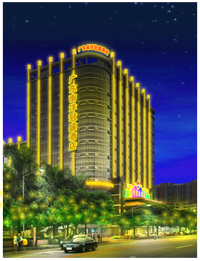 No.1 wholesaler for hotels in Guangzhou provide DISCOUNT Canton Fair hotels. 5 Stars Canton Fair Hotel from $95, free airport pickup, free guide service and free shuttle service to the Pazhou Complex ... during Canton Fair 2018. Inform us of changes as soon as possible. We understand that guest may cancel, extend, shorten or change your stay. Do inform us to avoid penalty imposed by hotel. Do not double book with more than one agent - this will lead to confusion at hotel. Hotel may ignore double booking. Book hotel using guest's passport names and check in using the same passport name. If hotel cannot locate guest's name in their computer system, you will be charged counter rates. Ask for address of hotel in Chinese - this will be provided in our confirmation email to you but ask for it if we miss out. This is important as most taxi drivers do not speak English. A professional team in Guangzhou mastering of all the fair related issues and Guangzhou city information offers outstanding free guide service for our guests. Call us anytime when you are in Guangzhou. We can offer detailed information on Guangzhou, and provide professional suggest and recommendation based on your need. A professional team in Guangzhou mastering of all the fair related issues and familiar with hotels in Guangzhou. We assist you choosing a hotel based on the your budget and preferences. Nan Yang Royal Hotel locates in the Tian He District Guangzhou China, on the opposite of TianHe Park. It has 268 elegantly designed rooms to suit both your business and leisure needs. We are ideally located which provides shopping and entertainment opportunities and close to the Central Finance Exhibition District. It is the most luxury hotel around Pazhou Complex and it is very easy to take taxi. Guangzhou East Railway Station (Express Train from HongKong to Guangzhou ) Taxi fare: 15-18 RMB Time taken: 5 min Baiyun International Airport Taxi fare: 130-150 RMB Time taken: 40 Min Pazhou Complex Taxi fare: 10 RMB Time taken:5 min Accommodation NanYang Royal hotel has an operation area is 30,000 square meters and our 268 elegant rooms and suites are designed with Victoria artistic style.Our special interior design make you feeling live in Palace. Every floor is 3.7 meter high. The Room facility and decoration is Excellent. The beds are very big and comfortable, Kingsize bed is 2.3 * 2.2 meter and Single bed has 1.5 * 2.2 meter. Each room equipped with Internet access, Mordern Large 43 inch Screen LCD, and all single rooms have super king size bed, our bathroom are set modern style multifuntion shower set, you can get rid of tiredness in large and clean bathroom after a long time trip. NanYang Royal Hotel is on the opposite of TianHe Park , all the Superior Lake view room provides ample sunlight through French windows, you can touch and feel fresh air everyday and enjoy modern city night view everyday. Chinese resturant Our Chinese Restaurant provides Cantonese Food, sumptuous homemade food and famous specialties, such as shark's fin, abalone, scallops, and seafood. A choice of many international dining options cuisine and seasons all-day in room dining. Grand Ballroom The Triumph Palace Multifunctional Large-SCALE Conference hall can accommodate to 800 people for banquet, for cooktail receptions and can be adapted for any other function,all of our trained staff provide full-basket and professional service to meet different customer demand. The Luis Western Restaurant As one of the best hotel resurant, the Luis Resturant features daily lunch and dinner buffet. A true winner with children and dessert lovers, the cake at the dessert table is a temptation you can not refuse.